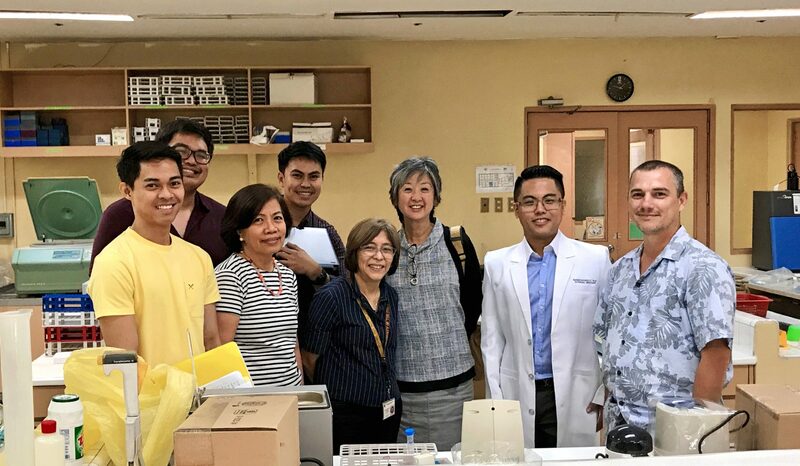 The Hawaii Center for AIDS (HICFA) announces an official collaboration with the Philippine General Hospital, University of the Philippines (UP). 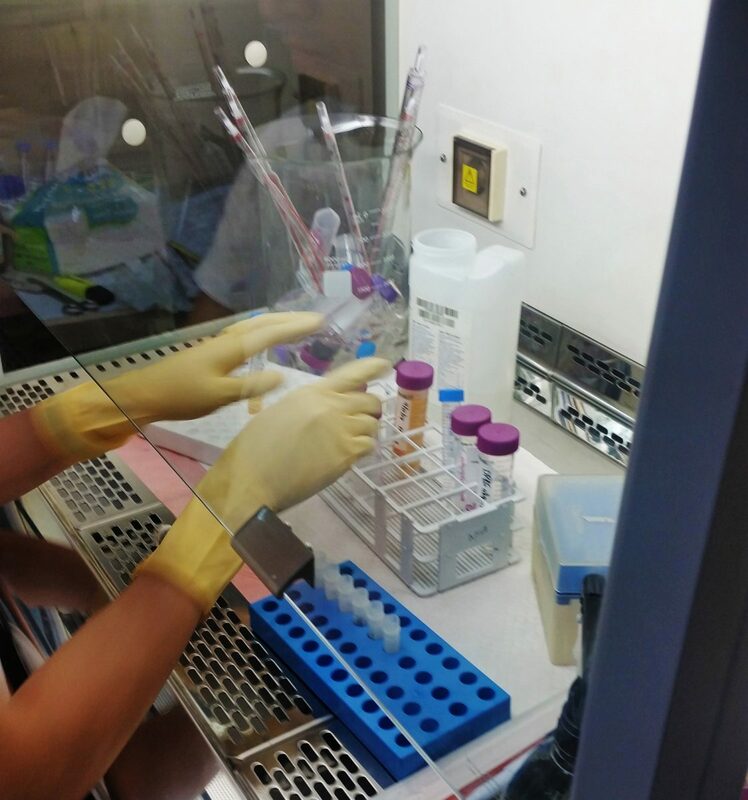 The Philippines is currently experiencing the highest HIV infection growth rate in the Asia-Pacific region. We are expanding to the Philippines to study this vulnerable population. Ms. 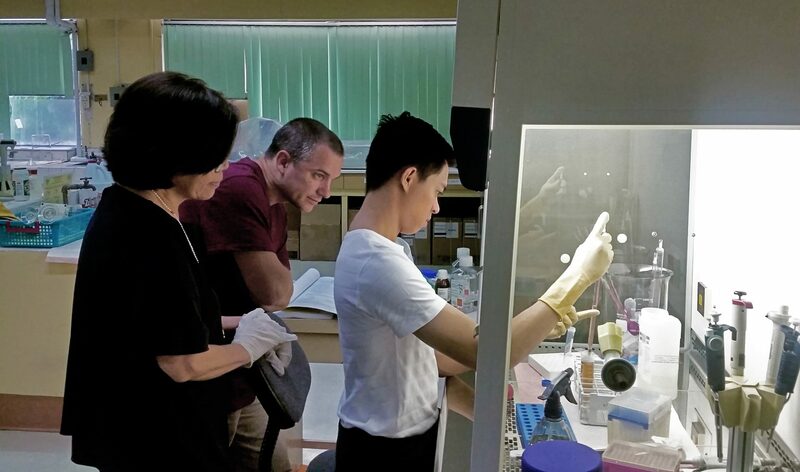 Conception Ang (head of UP’s research lab) and our Graduate Student, Scott Bowler, trains the Philippines site in blood processing techniques. 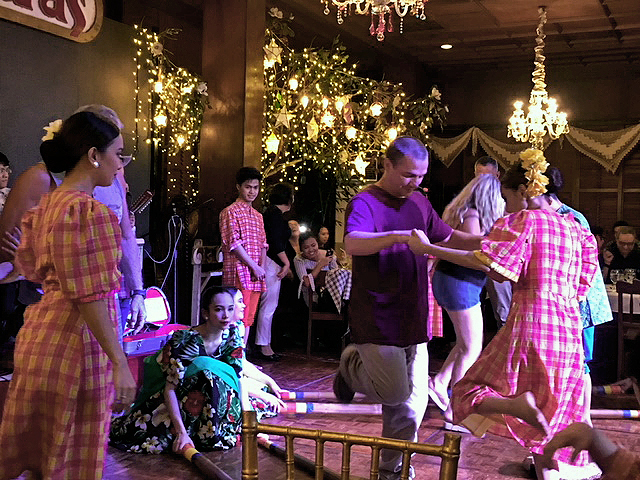 Scott also partakes in Philippine customs in a traditional bamboo dancing event.